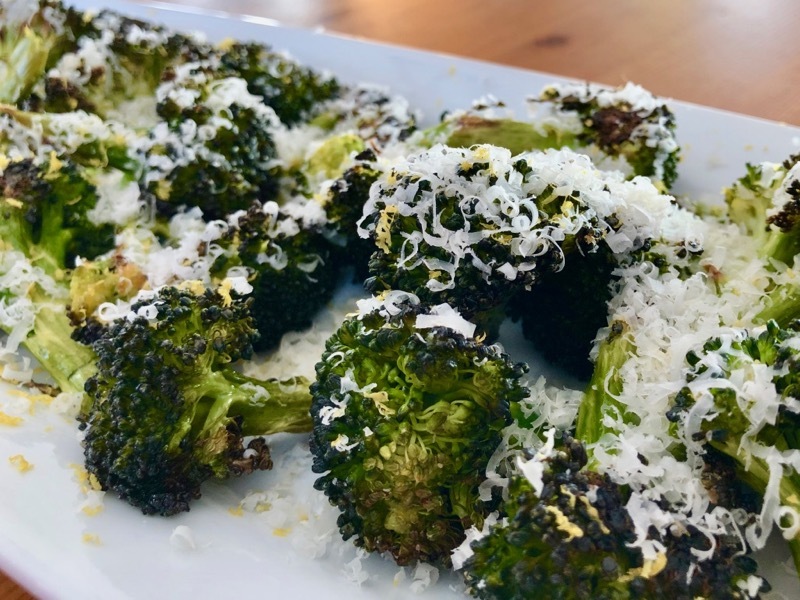 Tired of steamed broccoli? I know I was. Here’s the cure. Place broccoli on a baking sheet (covered with parchment if preferred). Drizzle with oil. Sprinkle with salt. Toss to coat evenly. Sprinkle with lemon zest and Parmesan.